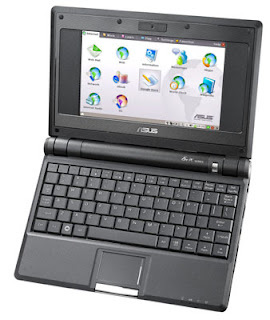 I’ve been using the Asus Eee PC in my college classes since Christmas and I’ve come to some interesting conclusions about the mini-computer. The computer is great for note taking and e-mail, which is all I really need in class. Its very portable and easier to carry around than notebooks. I’ve even begun to put what e-books I can on it, so all I need for class is the laptop. However, with all this great convenience I can’t think of any application for the laptop in a full scale school system. A majority of students would only be frustrated by the computer in class. Most people don’t prefer typing over writing, and many people don’t have the computer and typing skills to take notes on their computer during class. And beyond note taking the computer doesn’t have many more useful class time features. The mini laptop is a niche computer. It’s perfect for someone looking for a simple and cheap computer for class and not much else. It makes a great secondary computer and I highly recommend it for personal use, but not for a full scale introduction into the school system.